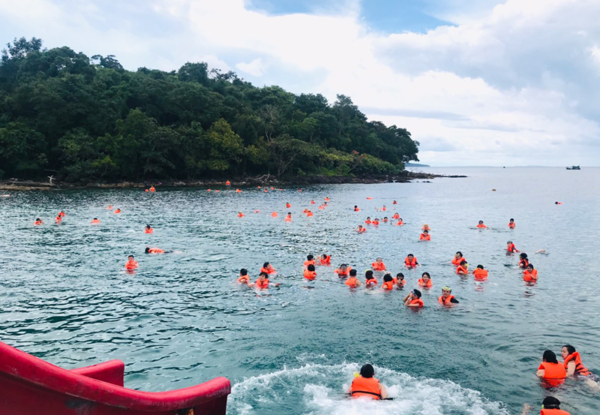 Happy Boat Daily Tour is a day tour trip ferry to 3 of the most beautiful islands in Sihanouk Ville, Koh Rong, Koh Kon, and Koh Rong Samloem. 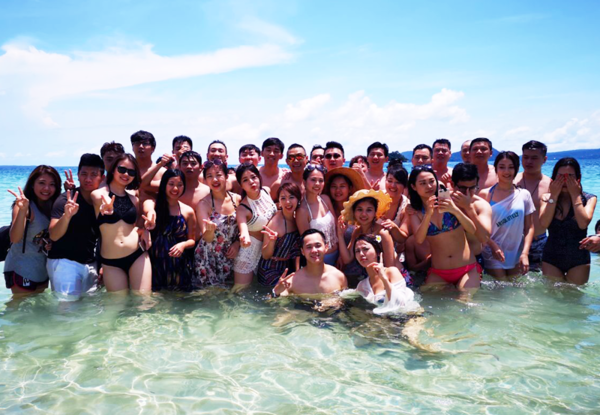 -9:30AM: Departure from Serendipity Pier (also known as Ochheuteal Tourist Beach Pier) to Puraryta Resort Pier on Long Set Beach of Koh Rong with delightful breakfast. -12:00PM: Take a short trip with plenty of photo opportunities to the beautiful white-sand beach. 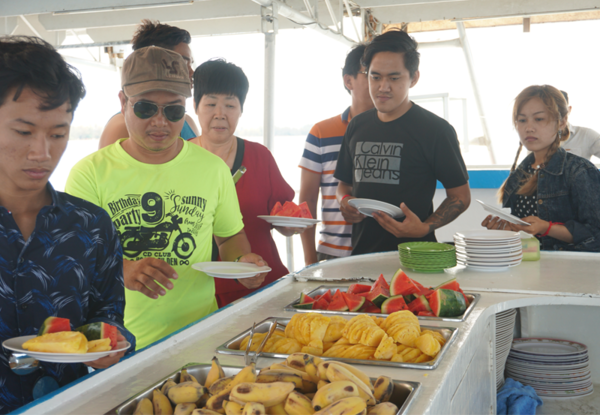 -13:00PM: Departure from Long Set Beach to Koh Touch Beach with delicious lunch on the ferry. -14:30PM: Departure from Koh Touch to Koh Rong Sanloem to witness and enjoy the beautiful beach landscape. Take plenty of photos and swim in the warm water. -16:00PM: Departure from Koh Rong Sanloem to Sihanouk Ville pier. 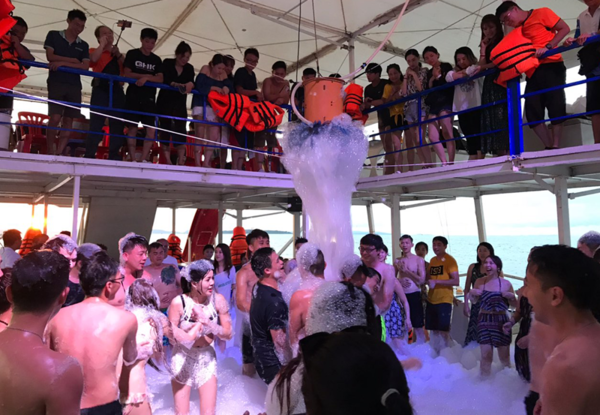 Swim inside a bubble pool or play some games on the boat! -17:30PM: Arrive back at Sihanouk Ville port (Serendipity Beach). Children under 6 years old can board the boat free of charge.